The first recorded teacher was Wu Zhong 吴钟(1712-1802). Famous teachers that promoted the style included Wu Xiu Feng 吴秀峰, Li Shu Wen 李书文 (1864-1934), (Cangzhou, Hebei, very skillful with the spear that earned him the nickname "God of Spear Li."). A Peking Opera Wu Shen (Martial Male Character) by training, he was foremost in his Kung Fu basic training. His most famous quote about fighting was, "I do not know what it's like to hit a man twice. "Li Shu Wen's students included Huo Dian Ge 霍殿阁 (bodyguard to Fu Yi, the last Emperor of China), Li Chenwu (bodyguard to Mao Zedong), and Liu Yun Qiao 刘云樵 (secret agent for the nationalist Kuomindang and instructor of the bodyguards of Jiang Jieshi. 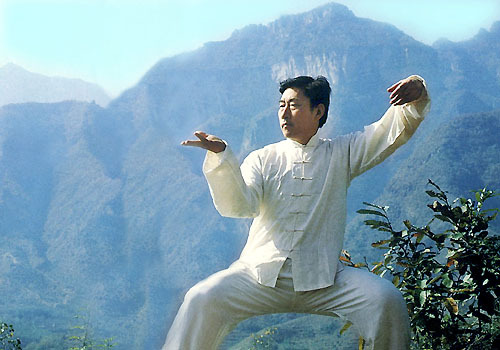 Bajiquan has come to be known as "The Bodyguard Style". Ma Feng Tu 马凤图and Ma Yin Tu 马英国 introduced Ba Ji fist into Nanjing Kuo Shu Guan 南京国术馆 (central Chinese Martial Arts Academy). It was required for all students. Bajiquan shares roots with another Hebei martial art, Piguazhang. It is said that Wu Zhong, the oldest traceable lineage holder in the Bajiquan lineage, taught both arts together as an integrated fighting system.They split apart, only to be recombined by Li Shuwen in the late 18th to early 19th century. As a testament to the complementary nature of these two styles, there is a Chinese martial arts proverb that goes: "When pigua is added to baji, gods and demons will all be terrified. When baji is added to pigua, heroes will sigh knowing they are no match against it." (八极参劈挂，神鬼都害怕。劈挂参八极，英雄叹莫及). Today there are many families or lines of Bajiquan, inculding Han, Huo, Li, Wu and the Wu-Tan branch from master Liu Yunqiao. There are some differences in the Bajiquan training between the lines, but the core is the same. The lineage holder of Wu family Bajiquan in China is Wu Lian Zhi吴连枝. Through more than 50 years of training, he collected material and records which were passed down from generation to generation.